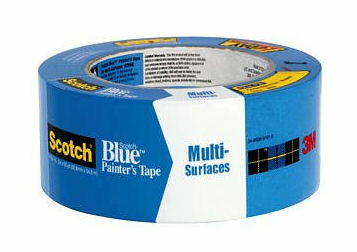 - Ideal for most smooth and delicate surfaces such as fresh paints, wallpaper, wood surfaces and wall board. -14 day clean removal for indoors. - 7 day clean removal for outdoors. Water-based, sovent based and stain coatings can be applied. Not compatible with lacquer coatings or surfaces.